Ignoring the ominous clouds, about 30 cyclists rode in to make new friends and enjoy a show under the stars at tonight’s bike-in movie. 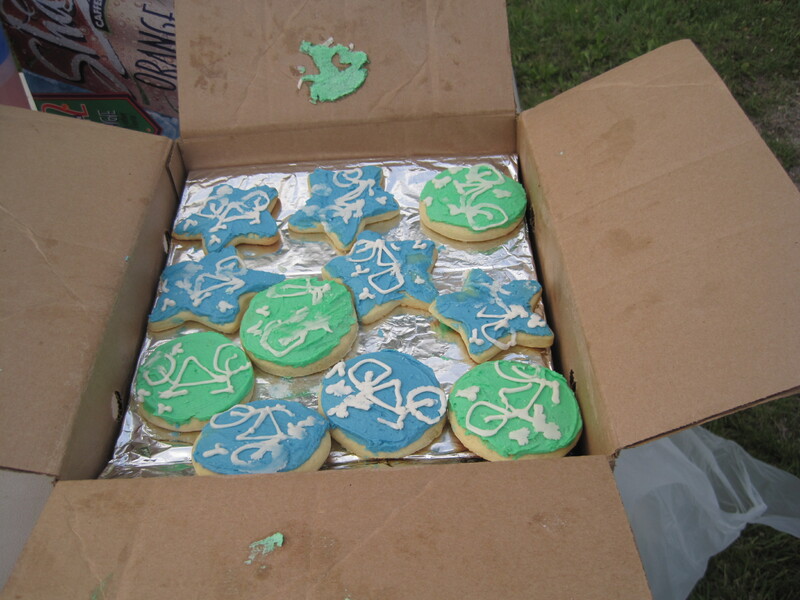 Krysta brought the famous Bike Committee cookies (yes, folks, those are hand-decorated). 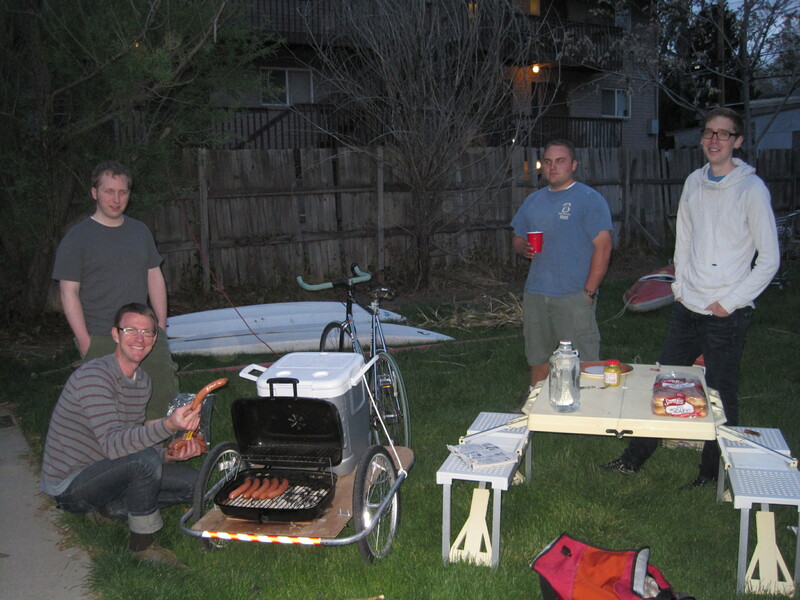 Leland rode in on the bike-mobile, complete with ice chest, grill, and an entire picnic table. 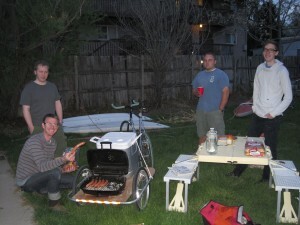 He cooked up some incredible polish dogs to share. 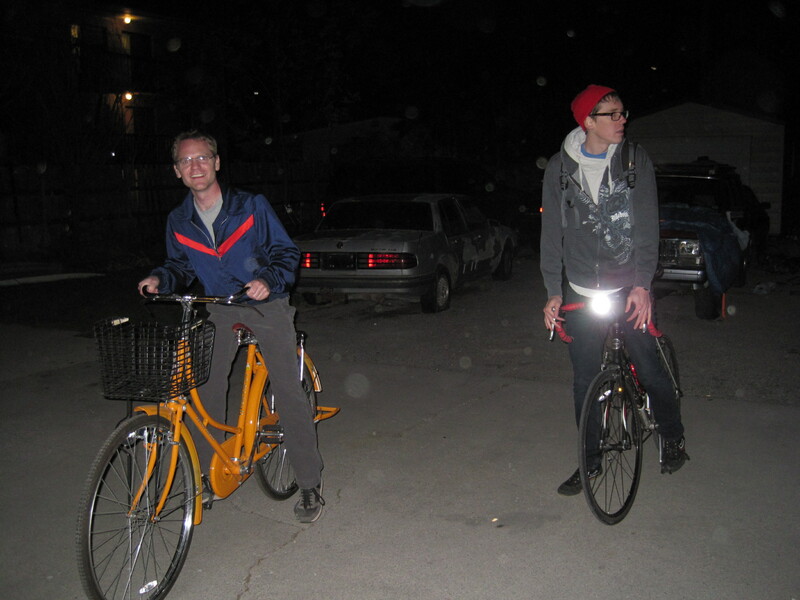 There were dozens of bicycles to drool over. 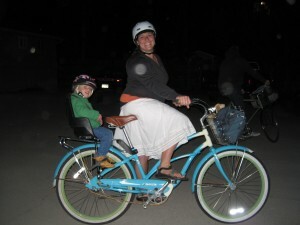 Cyclists of all sorts attended. As well as the biking beagle (not pictured). We had a great time watching the movie and enjoying each other’s company. Fortunately, the big downpour of rain waited until the party was over. 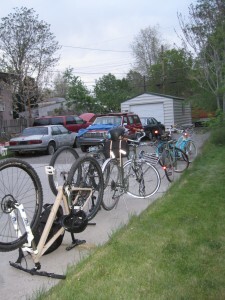 Hearty thanks to the Bike Committee for making this happen as well as all the new cyclists that joined us after learning about the committee at the Bike-to-Work Day event. 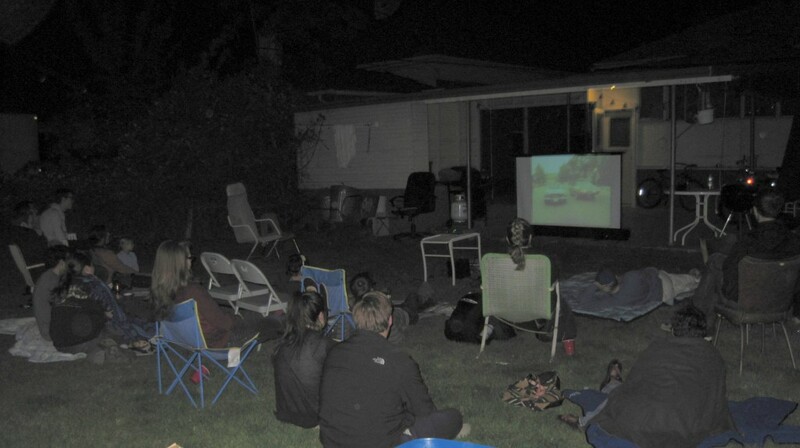 A big, internet-style round of applause also goes to Spencer for letting us borrow his DVD and my neighbor Mark for letting us combine forces to create a mega-yard for the night. 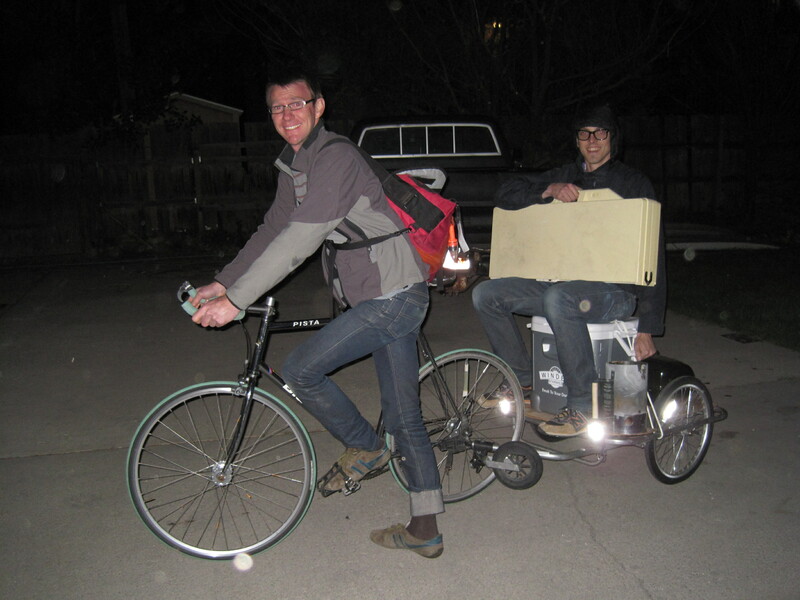 Remember, this is just the beginning of bike events and advocacy projects the Bike Committee has planned for the summer – keep checking back for details on upcoming get-togethers. This entry was posted in Local Biking Events, Provo Bike Committee by Jamie. Bookmark the permalink. A shout out from Portland. Wish I could attend! I’m excited that the biking community seems to be alive and growing in Provo!